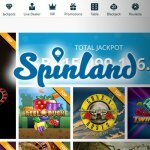 Spinland is a fast-growing online service that is noted for its wide selection of games from top providers and excellent customer care. The site is mobile-friendly and has been proven fair by eCogra. Various live casino games are available, and you can get in touch with the team round the clock via Live Chat. More and more gamers and bettors are heading straight to Spinland when they require access to a casino that offers a diverse range of titles and is easy to navigate. Read on to find out more about the Spinland experience. Spinland is owned by Imperium Network Solutions and was first established in 2017. Despite its infancy, it has swiftly made a name for itself. It is available in English, Norweigan, Finnish, German and Swedish. 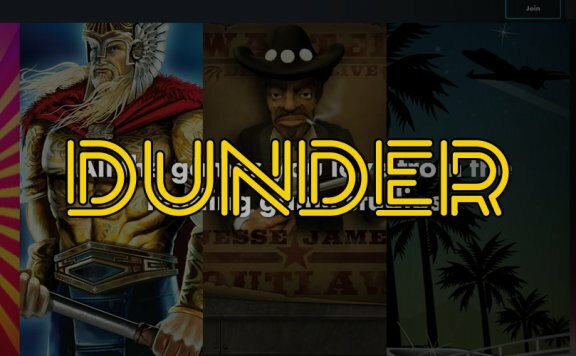 The site is home to Spinland casino games from brands as respected as Microgaming, Evolution Gaming, NetEnt, Leander, Thunderkick and Nyx. 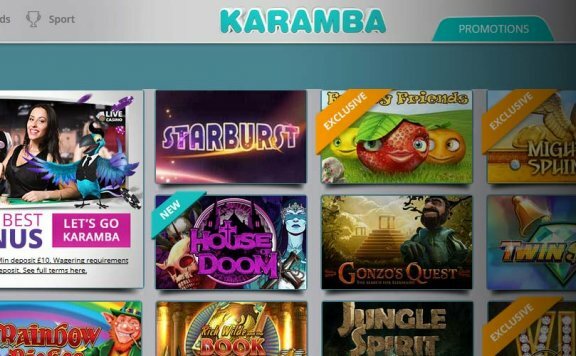 There are more than 500 video slots to choose from, and you can expect the latest titles to be added as soon as they are unleashed onto the market. Progressive jackpots are available, potentially delivering life-changing sums of money. Some of the most popular titles you can current play with Spinland casino include Guns N’ Roses, Twin Spin, Starburst and Aloha! Cluster Pays. There are several video poker titles to choose from as well as virtual table games including variations of online roulette and online blackjack. Also on offer are scratch cards. Should you wish to play along with real-life dealers, head to the Spinland live casino where you can partake in live blackjack, baccarat and roulette, to give just a few examples. You can play a selection of Spinland desktop games through your mobile device without being forced to download an app. More and more people who like to play on the move are choosing Spinland mobile games. There are various Spinland mobile bonuses to enjoy when you play at the Spinland mobile casino. A generous welcome bonus is available for new players at Spinland. With this bonus, you can receive up to £3,500 and 200 spins. See details below. 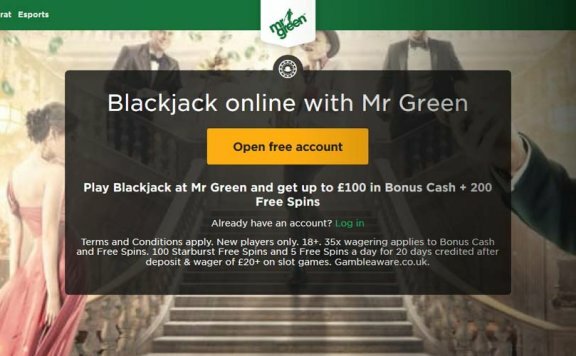 • First deposit: 200% matched up to £3,000 with 50 free spins. There are many interesting and exciting promos on offer for existing players. At the time of writing, you can enter a draw to get a luxury safari in South Africa, and there are also monthly prize draws available where you can win items such as MacBooks, iPhones and shopping vouchers. For each £50 you deposit, you can 5 Land Points. When you get to 1,000 points, you can enter the monthly prize draws. You can also get Loyalty Points every time you make a deposit, which can be exchanged for vast bonuses. Spinland support many different payment methods, including Visa and Mastercard as well as modern e-wallet solutions including Skrill, Neteller, Trustly and many more. There is normally a minimum withdrawal of £30 and a minimum deposit of £20. The Live Chat option is available around the clock, which means you can expect to get any issues resolved whenever they arise. Should you wish to contact Spinland via e-mail, you can do so by sending a message to [email protected] The reputation of the customer support is generally excellent, with well-informed professionals always being on hand to help.